This story is also part of a four-story bundle of fantasy stories, if you’d like to save a buck. This long story (also known as a “novelette”) takes place in a fictional world whose map gets used in the graphic novel IN MAPS & LEGENDS (check out issue 4! ), illustrated by Niki Smith and written by me. The humid night air crept closer, dripping onto the boy like tar as he slipped into his teacher’s cave. Young Palapeeter walked on tiptoes, with a silver whistle in his right hand and a tarnished silver bell—its clapper pinched with a thumb and forefinger—in his left. In the cave where his master slept, there would be no excuse for noise. Silence was needed, for Bartolamus the Sorcerer was dying. The old man lay in a makeshift bed at the far end of the long, narrow cave he called home, covered in heavy blankets. As usual, though he was flat on his back with his eyes closed and his breathing shallow and rare, the old man held a pen of constant ink in his left hand, scribbling equations onto a worn scroll. Even at rest, Bartolamus was still working. Running the length of the cave, illuminated by the flickering light of the globes pressed into the rock walls, stood bookcase after bookcase jammed full of books and papers of all sizes, colors, and shapes. On top of each bookcase, wedged into the few open spaces between books, sat miniature towers, keeps, and bridges, ancient structures untouched by rust. One of Bartolamus’ bright green eyes opened, though the pen never stopped scribbling. Peet’s words failed him when, for the first time since his father had brought the boy to Bartolamus’ cave from their family home at the edge of the Bluetip Mountains, his master put down his pen. Even when Bartolamus ate—even when the man used the chamber pot!—he never stopped scribbling out his theories. “You will want to sit, my boy,” Bartolamus said with a strange coughing sound. The old man was laughing. Peet sat on the edge of his Master’s bed and wished he hadn’t spent the last two days—without sleep—crisscrossing the dusty streets of Southfort, searching for the old woman who sold him the whistle and the young girl who had bartered for Peet’s lunch and his best pair of socks in exchange for the battered metal bell. Under Bartolamus’ orders, he hadn’t dared blow into the whistle or allowed the bell to ring. 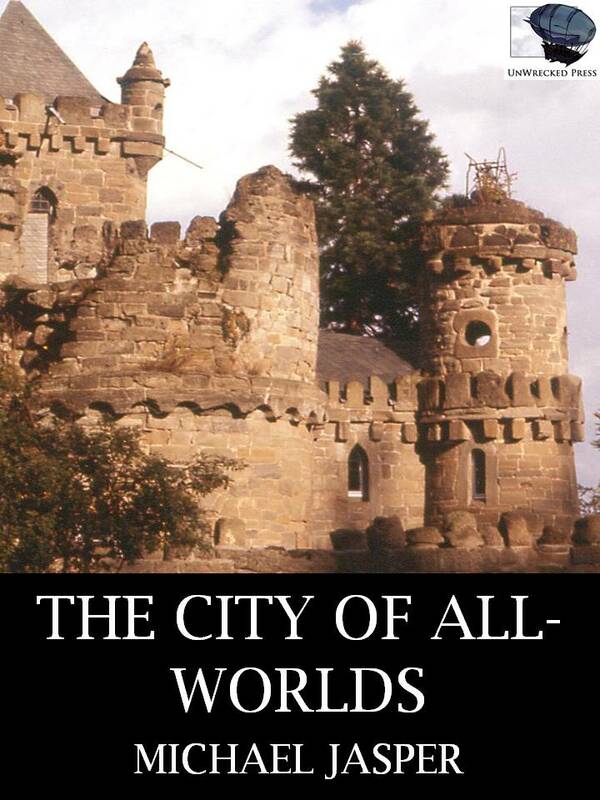 Since the start of recorded history, the City of All-Worlds has been the proud owner of a Portal. Only a handful understood its workings, of course, but I’ve been a student of it all my life. This doorway onto other worlds was used to enrich the world of Subaridon with knowledge—as well as visitors—from other worlds. Commerce flowed into and out of the City, originating at the Portal, populating the paved streets with beauty and crime, danger and wonder, steel and flowers. The Closure put an end to all of that. The Closure of the City of All-Worlds began in a tavern, of all places, on the night before I was to begin my career.